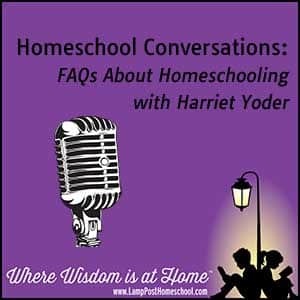 Interviewer Rob Vail of This Side of the Country Radio Ministry and Harriet Yoder chatted about Why Did You Homeschool? These mp3 audio files should open automatically. Transcript: Why Did You Homeschool? Rob: Alright, we’re pleased to have with us today, Harriet Yoder. Harriet is the co-founder of Lamp Post Homeschool Store and she’s also a graduate of the University of Houston with an MBA and a Bachelor’s of Administration. Harriet, welcome! Harriet: Thank you. Good to be here. Rob: One of the things we want to talk about today is homeschooling. I want to ask you some specifics, but you’re a veteran of homeschooling, over twenty years. Why did you decide to get into homeschooling? Harriet: We were young parents and new Christians back in the early 80s. I was doing a lot of reading in the Bible about parental responsibility, motherhood, children. Nowhere in the Bible does it tell the kings to train the children. It is a mandate for parents to train their children. The only ones the kings trained were their own children and prisoners like Daniel, Shadrach, Meshach, and Abednago. I researched it and came to the conclusion that, in addition to how the public schools were at the time and still are, it wasn’t a good place for my children to be. It wasn’t where God wanted them to be. I knew in my heart that God was calling us to homeschool. Rob: You’ve got what? One or two kids? Rob: You’ve got nine kids. So you know what you are talking about. Harriet: Yes, until they go to college, they’ve never have been in public school, except three of them played sports with the public school for a short time. What are the Challenges of Homeschooling? Please drop us a line to let us know how it was used. 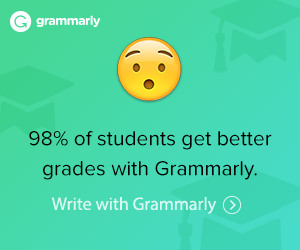 We appreciate feedback.